Isabel “Isa” Céspedes is an Artist, Event Producer, Diversity and Inclusion Creative Strategist, and the Creative Director for Sista Circle: Black Women in Tech. Her interactive experiences provide safe spaces for Black women to come together as tech professionals to exchange ideas and support community professional growth. 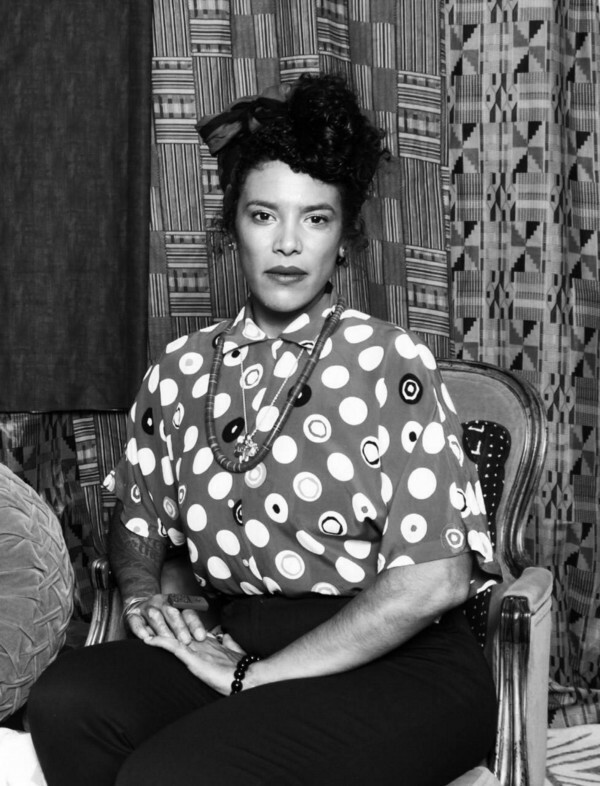 Originally from Oakland, Isa brings the rich tradition of Black art and socio-political dialogue to her work drawing cultural connections to the collective histories of Black women from across the African diaspora. I am a first-generation Cuban-American. Both of my parents are political refugees to the United States, which has greatly influenced my outlook on life. I’ve been examining my family’s story, the trauma of familial separation and its effects on my ability to confidently envision a life for myself outside of what came before me. I think this is a common experience for many children of immigrants; we often think about our family’s collective survival before our desires. It can breed self-doubt. So for me, one of my greatest challenges has been nurturing the faith to leap beyond the path my folks laid out for me to dream even further. My ancestors were resilient, and every day that I remember their resilience is in my DNA, I can tap into it to create new possibilities. What’s something you’ve done that you’re really proud of? I’m proud of the work I am doing with Sista Circle. I’ve been blessed to witness some incredibly meaningful moments of community recently. They have inspired me to continue pushing the boundaries of how we think about inclusion and diversity in the workplace. Originally from Mississippi, Bethany relocated to Silicon Valley in 2018 from Chicago. They have worked with both small and large tech companies to increase product adoption, improve their product experience, and evolve their product vision. Bethany is passionate about creating a culture of accountability that allows teams to “just” do the work well. Before moving to the Bay Area, I was based in Chicago and felt like I had hit the ceiling in terms of people’s perception of my abilities in late 2017. I realized that I was pretty frustrated and took that opportunity to change my path. I began speaking around the city, and eventually, I was invited to speak around the country. I then turned those speaking gigs into a dream opportunity at Apple, which has led to the journey of a lifetime. I work extensively with some nonprofits, including YWCA of Metropolitan Chicago and Howard Brown Health. I am especially proud of my work at Howard Brown Health; I’ve helped the organization grow into one of the largest LGBTQ-centric health centers, with over $100 million in revenue and treating more than 35,000 individuals annually. Carla H. McIntosh is a U.S. Air Force Veteran and Global Product Area Staffing Leader at Google. She is originally from Los Angeles, and spent many years in San Antonio, where she began her staffing industry career and later founded her own tech staffing company. When I separated from the military I, like many veterans, struggled to sort out what a civilian career could look like for me. This was incredibly difficult initially because I was in the aerospace control field, which was very specialized and also very different from most civilian careers. I chose to leverage all the skills I learned in the military — networking, collaboration, and leadership — to make connections that ultimately landed me in the staffing field nearly 20 years ago. One of my proudest accomplishments was starting my own company in 2005. After many years of growing other organizations, I built up the courage to step out on my own. I ran a very successful company for nearly a decade and kept it debt-free. Lesley-Ann is a 2018–2019 Ocean Design Teaching Fellows at the d.school at Stanford University, where she co-teaches a class in which students apply a design lens to address global ocean threats and propose sustainable solutions. She recently completed her Ph.D. in Design at North Carolina State University. Her research focused on design thinking at a rural primary school in Trinidad and Tobago. Lesley-Ann is a former Fulbright Scholar and also a lecturer at the University of the West Indies, St. Augustine Campus in Trinidad and Tobago. In her professional practice, she draws on the fields of design, anthropology, business and education to create product development and business strategy with stakeholders. Her research practice is guided by an emancipatory philosophy. She focuses on developing design curriculum for non-traditional audiences and promoting the work of designers outside Europe and North America. She has exhibited work at design exhibitions in Trinidad & Tobago, Jamaica, Brazil, Germany, France, and the USA. She has presented peer-reviewed papers at design conferences in the Caribbean, the US, the UK, and India. Over the last few years, my biggest challenge was uprooting my life and moving to North Carolina with my son to pursue a Ph.D. in Design. Work-life balance was hard to manage. Even though I’m well-traveled and have worked in different countries, I had to deal with the culture shock of adapting to new university culture, a new elementary school culture, a new American work, and pop culture. I got through it all by maintaining openness and being flexible. I’ve just uprooted us again by moving to California for a year, and at the end of this year, we’ll be moving again. It’s not as easy as it looks, but I know both me and my son have grown enormously over the last 3–4 years. I finished my Ph.D. in just over three years. It’s not perfect, and it was hard work, but I’m extremely proud that I was able to complete it in the timeframe I set for myself. Before completing the Ph.D., I got a job as a teaching fellow at Stanford University. I see that as a significant accomplishment. Abby is the Vice President of Network and Technology at Verizon, leading a team of engineers that build and operate the wireless network. She was born and raised in Kingston Jamaica and attended University in Trinidad and Baltimore, where she majored in Electrical Engineering. I had always dreamed about competing in track and field at the professional level after being a college athlete, but an unplanned pregnancy made me consider other options. After the initial shock, I quickly re-focused on my role as mother and my future career as an engineer. The support of my faith, husband, and family were vital as I found myself embracing a new future. I was truly blessed, not only with my first daughter but also a second. I raised them with my husband, and they bring us so much joy! I’m proud of helping the teams I’ve led achieve more than they thought possible. Sometimes it was turning results around for the better, or taking already great results and shifting them into high gear. I’ve had many personal accomplishments, but nothing beats seeing others achieve amazing results. Tonya Walley is the Vice President of Field Operations and Plant Maintenance for Cox Communications Virginia. Before joining Cox, Tonya fueled her passion for helping people by serving as Vice President of Logistics for Community Food Bank of New Jersey. When I look back over my career in telecommunications and cable, my fierceness is what I feel most proud of. There were moments when I felt I wasn’t good enough to be in the same space as techy men who spoke more technically than I did. I remember being the only woman at work and feeling so uncomfortable. As my career evolved from front-line field technician to leadership, I focused on my core strength of being a compassionate, servant leader who speaks tech very well, and I’ve used that to fuel my success. I pushed past my boundaries. Growing up, there were many obstacles that could’ve permanently derailed me from my journey, like losing my mother at a young age to cancer, to dropping out of college after her death, to struggling with my sexual identity. Now, I’m proud to be the first college graduate in my family. I’m proud to openly represent my LGBTQ family. And I’m proud to be a leader who blazes trails for other women. Brittiney Jones is a Senior Diversity Recruiting Program Manager at Oracle. She supports the Oracle Talent Advisory team’s diverse strategy towards recruiting for professional level roles across North America and Canada with an emphasis on roles for Product Development, Corporate Architecture, F&A, and Marketing. Brittiney’s mission is to make sure that when a candidate is being considered, they are being considered holistically. An advocate for community service, Brittiney is also the founder of a non-profit in Chicago, Chicago Youth Opportunities Initiative, focused on career development opportunities for youth placed in foster care. One of the challenges I’ve faced and overcome is something called “stereotype threat.” Stereotype threat is when you allow your perception of how people see you affect your confidence. My advice is to recognize distraction when you see it; distraction will take you off course. Stand on your integrity — otherwise, you can talk yourself into underperforming. I’m proud of being a first-generation college graduate. I’m proud of breaking through the barriers I’ve faced without letting them break me. Growing up, I was no stranger to life’s obstacles; at an early age I was emancipated and began paying bills, essentially becoming an adult at age 16. While working with a case worker, I realized the lack of resources for people like me and began creating my nonprofit. During this time, I also discovered my passion for seeing people succeed. I noticed the power of being an influencer. As I think back over the past years, I can see how everything tied into the career I have today. Dr. Claire Nelson is a Futurist, Sustainability Engineer, Social Entrepreneur, and Storyteller. As the only Black woman in her engineering classes at University of Buffalo and Purdue University, Dr. Nelson broke through barriers of gender and race to become the first woman engineer hired at the Inter-American Development Bank in 1981 and the first Jamaican woman to earn a Doctorate in an Engineering Discipline in 1989. She also became a pioneer in transforming the dialogue in inequity for Blacks in Latin America and the voice of the Caribbean American community. For her leadership, she was commended in the US Congressional Record and honored as a White House Champion of Change. I stuttered for most of my adult life. When I decided to fight for the rights of Black people in Latin America, I became the voice of the voiceless. I began to speak truth to power. Today I am a keynote speaker and count the UN, the OAS and White House among places where I’ve spoken about development with equity. I am having engineered the participation of the international financial institutions at the UN World Conference on Racism in 2000–2001. Additionally, I crafted the language for the section on The Role of International Financial Institutions and the Role of Transnational Corporations, which was included in the Durban Plan of Action adopted at the 2001 Conference in Durban, South Africa. Rachel E. Cooke is an innovative communications professional who has shaped out-of-the-box storytelling strategies for brands and nonprofits. Rachel has played a key role in product launches for McDonald’s USA; has developed successful multi-media projects to reach Millennials and GenZ and most recently is helping to drive the social impact narrative of Khan Academy. Before coming to Silicon Valley and Khan Academy, Rachel worked for the national nonprofit Advocates for Youth and the global PR agency Golin. Rachel hails from Washington, DC and is a graduate of The George Washington University. About seven months ago, I left my previous organization where I had been for seven years. It was the longest I have been in any job — and I was great at my job! I had seniority, was paid well and was respected for my work. Of course, with time comes to comfort and a bit of complacency. I was fortunate to grow and tackle exciting projects there, but I was becoming burnt-out with the political scene, and I was itching for a new challenge. To be honest, I had been putting off the decision to move from D.C. for quite some time. It was my hometown after all, and I was more than a bit scared to leap elsewhere. But then, I was offered this amazing position at Khan Academy. I faced a pretty big dilemma — stay with my job and the life I’ve built for myself or take that leap across the country? I leaped, and although I’m still finding my footing, I’m happy I did. There’s one quote that I keep going back to on the days I’m unsure if I made the right decision: “A ship in harbor is safe, but that’s not what ships are built for.” Fear will keep you safe, but it won’t let you fill your sails. I’ve been pretty lucky in that I’ve had amazing professional experiences throughout my career. I was able to coordinate thousands of dollars of scholarships for McDonald’s employees looking to go to college. I’ve been able to work on an animated series for young people that makes them feel less awkward about their bodies and growing up — it now has 19M views on YouTube. I produced a play about women’s reproductive rights that traveled the country. I got to give MJ Rodriguez from Pose the *biggest* hug when she interviewed for an LGBTQ-focused series that I created. And now I get to help create access for education to anyone, anywhere. Looking back on it, I’m proud that I’ve been able to make a real, positive difference in people’s lives through my work. I just hope I get to keep doing that. 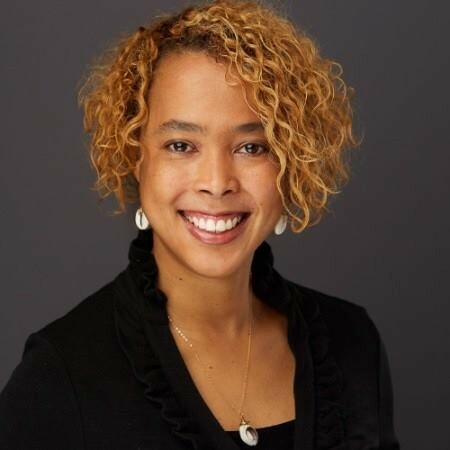 Suezette Yasmin Robotham is a speaker, educator, connector, coach, and leading “Black Girl in Tech.” She has more than a decade of leadership experience, with expertise in talent acquisition, diversity & inclusion initiatives, leadership development, strategic planning and relationship building across various industry sectors. Suezette has been tapped as a speaker by a number of organizations across the U.S. and Canada for her thought leadership in authenticity in the workplace and diversity and inclusion. She has been a featured TEDx Speaker (TEDxBeacon Street 2015). Suezette is passionate about the power that can be realized in spaces where vulnerability, empathy and authenticity are encouraged. She is devoted to using her talents to connect others to the people, opportunities and resources that will help them realize their highest potential. In my career, I’ve come to learn that challenges are a valuable nutrient in the fertilizer that helped me bloom professionally. One of the biggest challenges I’ve faced is finding my leadership footing in spaces where my style is fundamentally different from that of the people who typically occupy the space. Before joining Google, I did a great deal of work in the educational sector, working with large urban school districts and education reform organizations like Teach For America, The New Teacher Project and The Achievement Network. As I transitioned into tech, I had to look at myself and ask an important question — Do I adapt or do I help this space evolve? It became evident to me that I was brought here because I had tremendous value to add. I am proud of myself for traveling the world…BY MYSELF. I think solo travel is, by far, the best thing I have ever given myself permission to do. And I say “permission” because I allow myself to be free and wholly myself without being held back by fear, worry, doubt or overthinking. I think that far too often people don’t take the opportunity to see themselves beyond the space they are in or the work that is in front of them. But the options around us are unlimited. I have been blessed to experience new cultures, sights, food, languages, art…even dating…and so much more through my solo adventures to places like Australia, Mexico, Panama, Barbados, France and, most recently, Mauritius. Roshell Rosemond Rinkins is a global strategic sourcing business leader with diverse business leadership experience spanning across multiple disciplines and industry segments. Originally from Ft. Lauderdale, she brings more than a decade of strategic sourcing, procurement, and supply chain management experience honed at some the nation’s top companies including Procter & Gamble, Microsoft, and Goldman Sachs. Roshell is currently a Global Supply Manager at Apple and also leads a world-class beauty lifestyle movement providing high-quality lip products and beauty education for modern and upwardly mobile women as the Founder of Liquid Courage Cosmetics. Moving across the country and becoming part of the Silicon Valley ecosystem overnight, with no Bay Area support system, has been by far one of my biggest challenges. While I still struggle at times to find a sense of belonging as a Black woman in tech, being intentional about building my community of supporters — sorority sisters, church members, DNA members, and people in the Haitian community — has allowed me to call this place home for the last six years. I became a member of the Silicon Valley cohort for Pipeline Angels three years ago. I am extremely proud that our cohort invested over $85K in Saathi, a female-led, social impact startup that makes 100% biodegradable sanitary napkins in India. Saathi manufactures eco-friendly, compostable sanitary napkins using locally-sourced banana fiber. I was also selected for the “40 Under 40” Procter & Gamble (P&G) Alumni Network Recognition List. This is awarded to P&G alumni who are actively engaged in making the world a better place through their continued contributions in both business and community action. Reneta Haynes is a Network Engineering Director at Verizon, responsible for negotiating with network vendors and electric companies to secure contracts providing the company with critical vendor provided network equipment support and pole attachment rights. 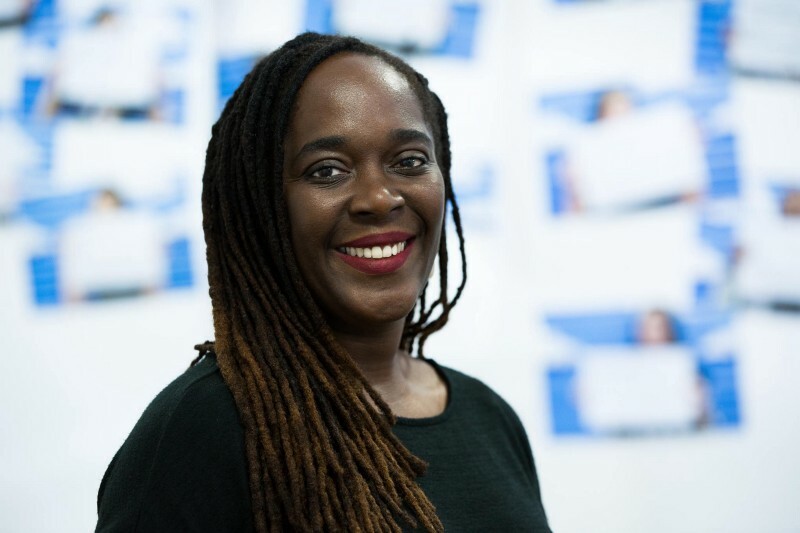 Prior to her current assignment, Reneta was the Manager of Wireless Product Development, leading the team responsible for new mobile in-building solutions. During the course of her career, she has held various roles of increasing responsibility in network engineering and operations in Northern Virginia, Southern California, and Tampa, FL. Reneta earned her Bachelor of Science degree in Civil Engineering from the University of Virginia and her Master of Business Administration from Duke University. A self-imposed challenge, but a challenge nonetheless, was going back to school for my MBA at Duke University while I worked for Verizon in Florida. The rigors of leading a large engineering team at Verizon, focusing on my education, and traveling from Florida to campus in North Carolina every other week was tough. But I knew the importance of making it all work. A big part of making it work was finding my village of family and friends. They helped navigate me through crazy times and reshuffle my priorities when things were getting out of balance. I also had an awesome team at work, who backed me up as needed to make sure one goal didn’t suffer in support of the other. I am proud of having the courage to say “yes” to various opportunities throughout my career. Having the courage to step out of my comfort zone has led me to some incredible roles across the country and put me on the path to the career I have today. Camille is a cyber and tech attorney who has worked at the intersection of technology, security, law, and policy in the government and private sector. 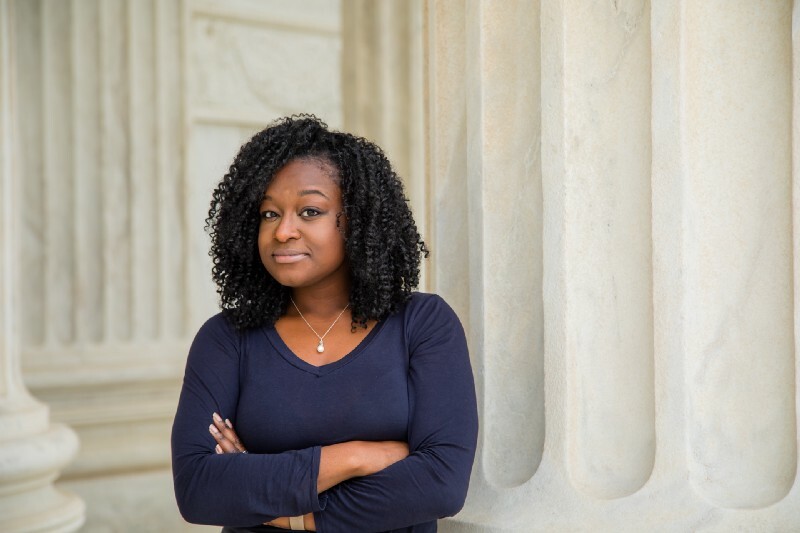 Camille is a Sr. Policy Specialist at Google, a New America Cybersecurity Policy Fellow, A Truman National Security Fellow, a Council on Foreign Relations Term Member & on the Advisory Board of Women of Color Advancing Peace and Security (WCAPS). Camille was appointed the Senior Policy Advisor for Cyber, Infrastructure & Resilience Policy at the Department of Homeland Security in the Obama Administration. More about Camille’s work can be found on her website. At 13 I was diagnosed with an autoimmune disease that changed my life forever. From missing half my senior year of high school to undergoing multiple surgeries and treatments, my health has created an optimism inside me that carries me through every challenge that comes my way. I have gotten through all challenges in my life by anchoring myself in community and faith, looking at issues logically, and leveraging the insight of those I trust. Starting a working group that focuses on the impacts of emerging technology and cybersecurity on communities of color, especially women of color, has been an amazing culmination of my professional pursuits and the communities I care for. Not only does this group support the creation of opportunities to expand representation in these spaces; it’s harnessing the expertise of our members to identify and amplify work being done to give voice to women of color. Creating awareness of our needs has been a dream. There’s a lot of work to be done, but I am encouraged by the support we’ve received. Malkia currently leads a dynamic team focused on managing large scale core technology infrastructure. The team is focused on driving task automation and ensuring the reliability and availability of the best network across the industry. Born and raised in Baltimore, Maryland, Malkia holds a B.S. in Civil Engineering from Morgan State University, MS in Telecommunications and MBA of Technology Management from Stevens Institute of Technology. I recently faced a challenge where one of my female mentees felt discouraged about the opportunities for growth for women in her company. I was able to provide some words of encouragement for her to continue pushing towards the promotion she desired. Recently, she contacted me to share that she had received the promotion. Sometimes, it’s a bit hard to convince people to have faith in the vision when reality shows you something different. We cannot allow the reality of today to distract us from the future of where we are trying to go. Now faith is the substance of things hoped for, the evidence of things not seen (Hebrews 11:1). Lauren Jackson is a junior at Edward R. Murrow High School with a major in Advanced Art. She is sixteen years old and born and raised in Brooklyn, New York. Lauren has been a part of internships and programs including Black Girls Code, Black Girls Lead, and Google. She has a passion for art, computer science, and communications. I am forming a sisterhood with a group of girls from all over the world who I met through Black Girls Lead. We’ve maintained contact through a group chat of 30+ girls. Another thing that I’m proud of is attaining an internship at Google. I’ve always considered myself an artist and never really opened my mind to computer science. When I joined Google, I found ways to incorporate both. Tabia is a junior at Florida A&M University studying Computer Science and the President of the Association of Computing Machinery for women on campus. 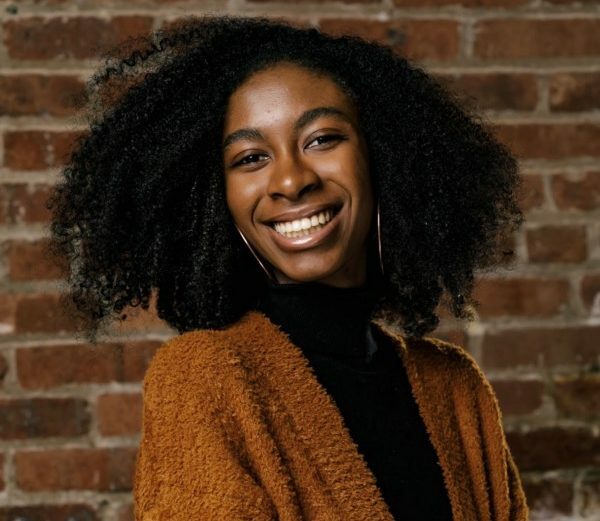 She is originally from St. Louis, Missouri but currently resides in San Jose, California as a scholar in the first Google Tech Exchange Program. Tabia has also interned at IBM where she worked in Cyber Security. A challenge I’ve faced specifically in Silicon Valley is engaging with people who are not used to seeing women of color in their workspace. I often get looks that make me feel like I do not belong. It is hard being the only Black person in the room, but I have overcome it all by staying confident. I have learned that confidence is contagious, and I often see people let down their guard down once they witness my confidence. I recently created an entire user interface for a website, with no prior knowledge of front-end development. I am very proud; not only did I learn three new programming languages in the process, I found something that I am passionate about! Sioban is a Partner Experience Manager at Twitter in San Francisco, specializing in creating amazing experiences for potential clients and partners that promote the Twitter brand and culture. She has worked in event-planning for over 13 years, ranging from collegiate program planning to non-profit fundraising to lifestyle conferences. Before Twitter, she managed the Customer Experience at TED Conferences (aka TED Talks). Sioban is also on the advisory board of ADCOLOR, a non-profit that champions diversity and inclusion in creative industries. Moving away from home was a big challenge. It was never on my radar, and I have been against it for some time. The farthest I had ever considered moving was Atlanta. However, the opportunity at Twitter was presented to me, and I realized I could not ask God for Grace and opportunities then question them when they came. So I took the leap to grow professionally and personally. I’m extremely proud of my resilience — that no matter what occurs, I keep going, find a solution, and stay positive. La-Tanya is Director of Field operations at Verizon in New Jersey. Born in Queens, New York, she studied business at the University of Massachusetts and has 19 years of experience in technical operations. When I was interested in becoming a manager in technical field operations, I faced many people who advised me it wasn’t the role for me. I was placed in an administrative role but never gave up on my pursuit to advance in the technology sector. I worked hard and networked constantly until I met a woman executive who helped me achieve my goal. Mentoring and developing others is a passion of mine. Recently someone who I’ve mentored for five years was hired to a Fortune 500 company in an executive role. She wrote me a heartfelt letter explaining how our sessions helped her achieve success.